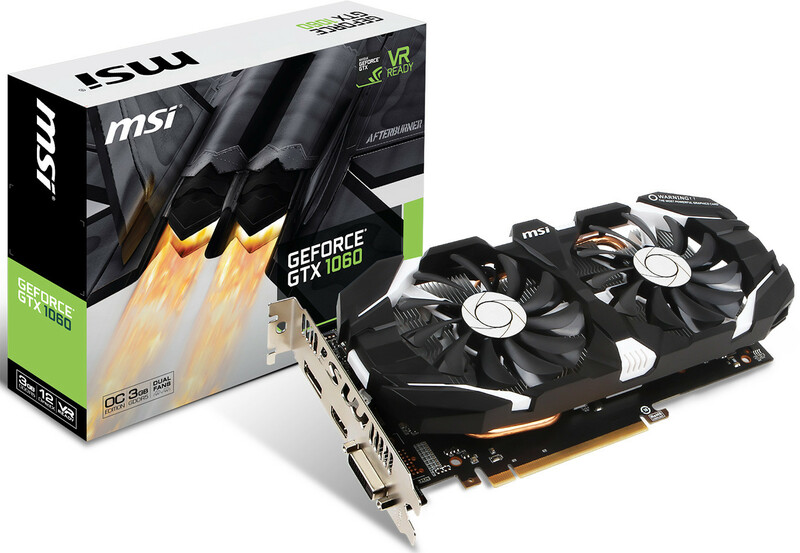 As the world's most popular GAMING graphics card vendor, MSI is proud to introduce brand new graphics cards based on NVIDIA's new Pascal GPU with fierce new looks and supreme performance to match. 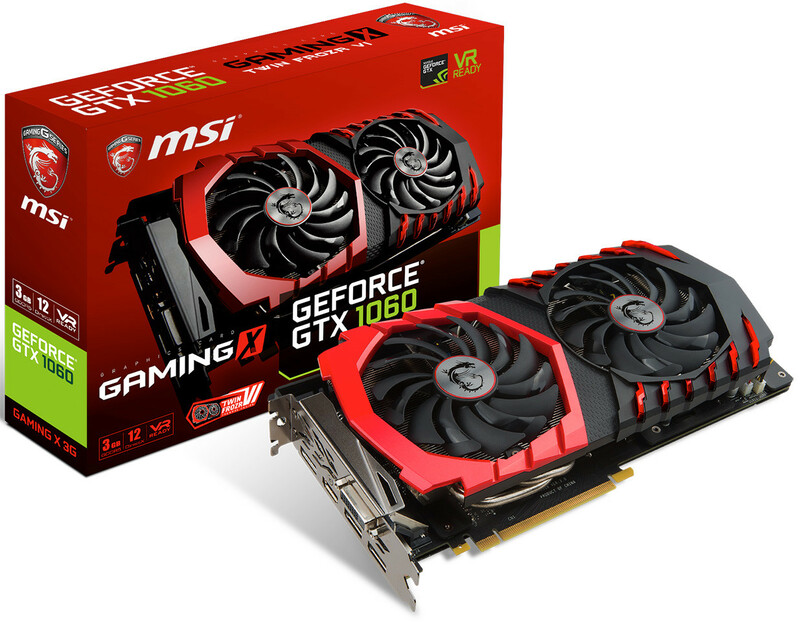 Featuring the same high build quality as its bigger brothers, the MSI GeForce GTX 1060 GAMING 3G Series are kept cool by the imposing TWIN FROZR VI thermal design, allowing for higher core and memory clock speeds for increased performance in games. 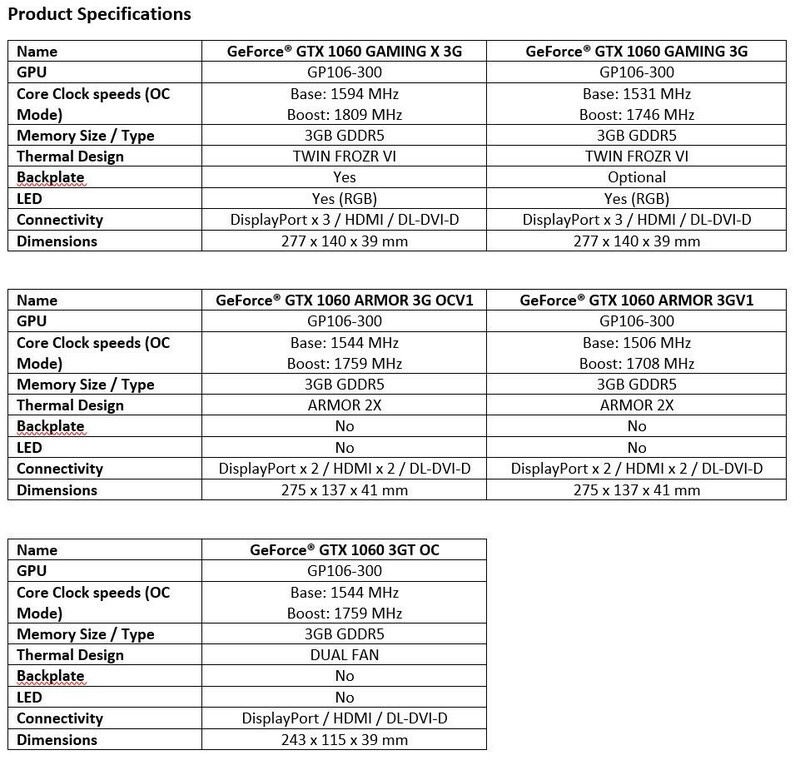 MSI's new TWIN FROZR VI Thermal Design raises the bar of Graphics Card air cooling. TORX Fan 2.0 is the enhanced version of the patented MSI TORX Fan technology which generates 22% more air pressure for better cooling performance while further reducing noise levels. Connected to the huge heatsink are up to 8mm thick copper heat pipes with a squared shape at the bottom for optimal heat transfer from the solid nickel-plated copper baseplate combined with Premium Thermal Compound X to keep the Pascal powerhouse cool. Dressed in a fashionable Black & White design inspired by advanced armor shielding, the MSI GeForce GTX 1060 ARMOR 3G series are perfect for gamers and case modders looking for something unique and different. The new ARMOR 2X Thermal Design uses the patented TORX Fan technology also found on the award winning TWIN FROZR V graphics cards and Advanced Airflow Control for enhanced cooling performance. MSI's Zero Frozr technology stops the fans in low-load situations such as web browsing or light gaming to remain fully silent. 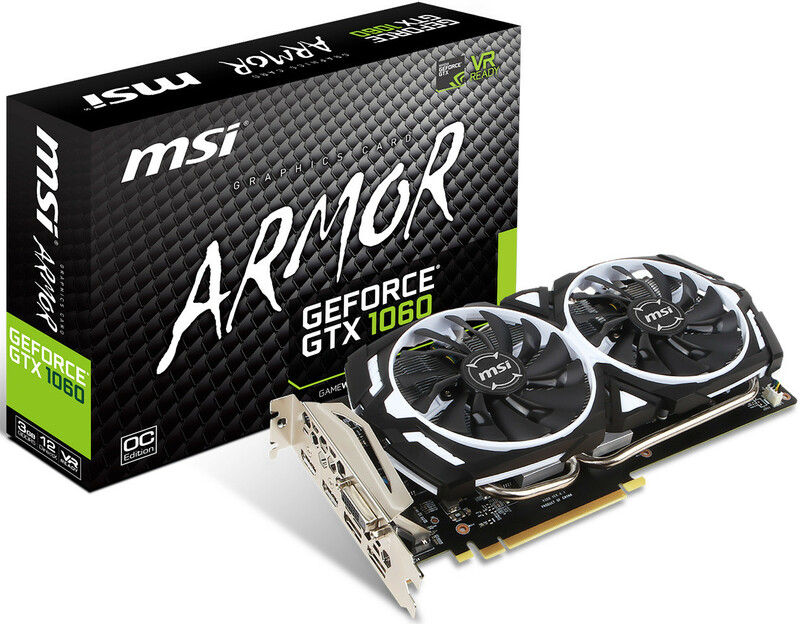 The MSI GeForce GTX 1060 ARMOR 3G models also feature a special output layout with 2x HDMI, 2x DisplayPort and 1 DVI port.